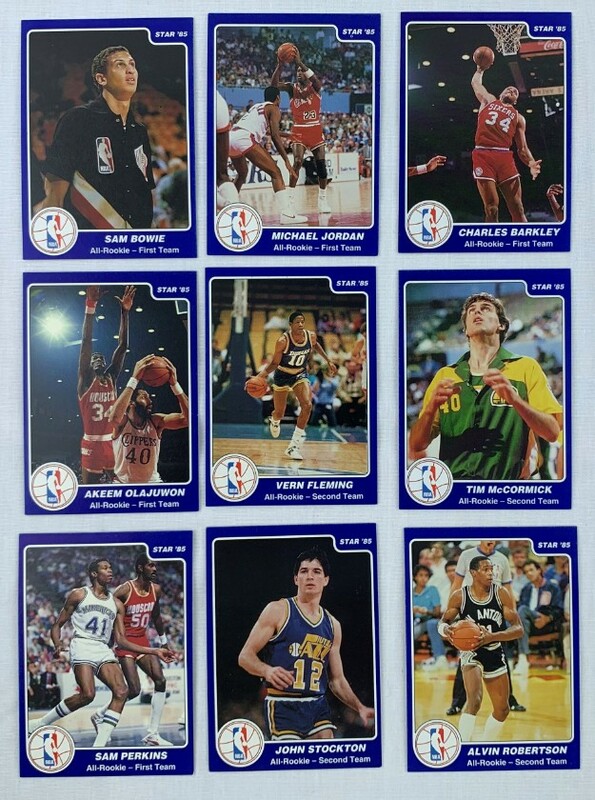 This is a complete set of 1985 Star Cards All-Rookie Team of 9 cards. This set includes Hall of Famers John Stockton, Charles Barkley, Akeem Olajuwon, and John Stockton. 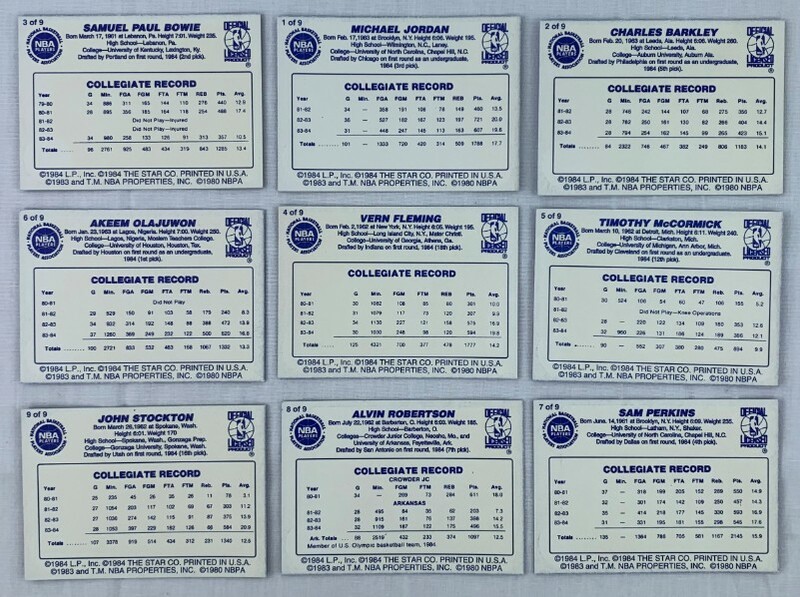 These cards have not been autographed nor graded. This set was most likely printed in 1991 even though it has a trademark printed as 1985.